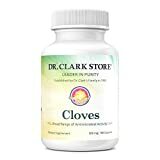 What are cloves? About the ingredient cloves. Including 1,606 recipes with cloves, nutrition data, and where to find it. Dried cloves are also a key ingredient in Indian masala chai, spiced tea, a special variation of tea popular in some regions, notably Gujarat. In the US, it is often sold under the name of "chai" or "chai tea", as a way of differentiating it from other types of teas sold in the US. Due to the Indonesian influence, the use of cloves is widespread in the Netherlands. Cloves are used in cheeses, often in combination with cumin. Cloves are an essential ingredient for making Dutch speculaas. Furthermore, cloves are used in traditional Dutch stews like hachee. More detail Order now to save $0.08! Cloves are usually found in the spices section or aisle of the grocery store or supermarket. 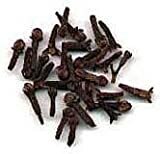 Cloves are a member of the Spices and Herbs USDA nutritional food group. How much do cloves weigh? There are 1621 recipes that contain this ingredient.